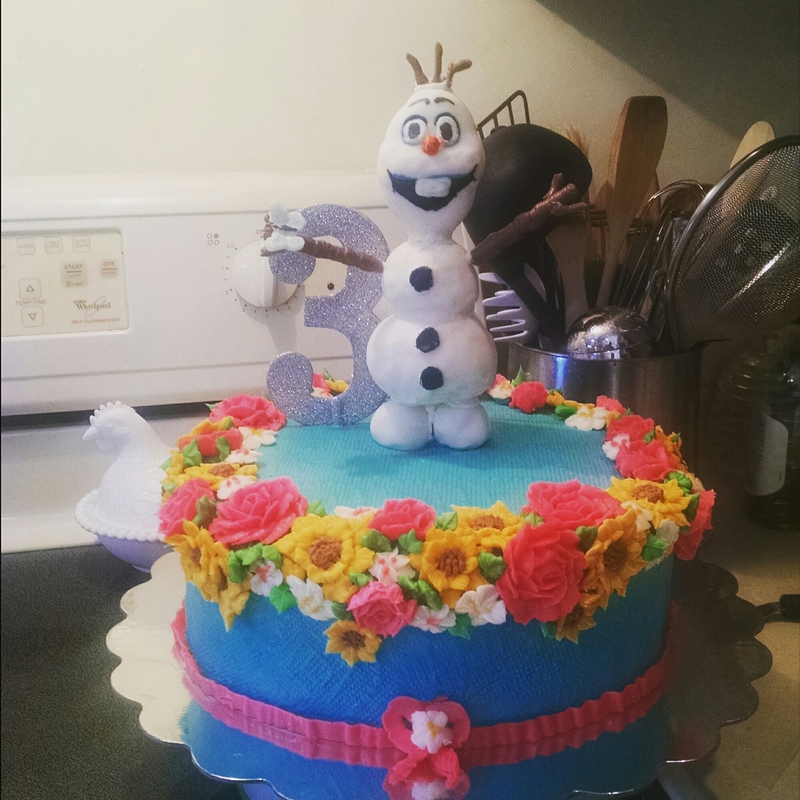 A 10″ white cake iced with vanilla buttercream. Ask flowers are made from buttercream as well. The snowman “Olaf” is rice krispie treats covered with white chocolate. The 3 is a cake pick. 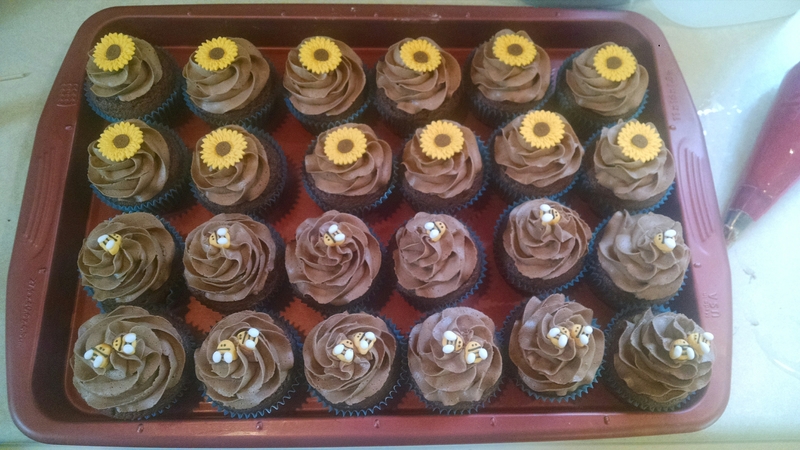 The cupcakes are chocolate iced with chocolate buttercream with royal icing transfers.